Party up, choose your loadout, and prepare for battle Echo Units! 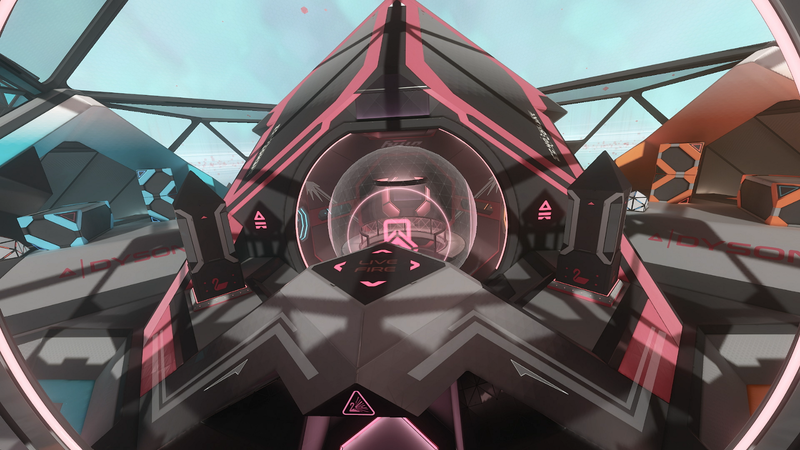 Echo Combat is a competitive, 4v4 first-person shooter in zero-g. As a futuristic robot, players have an arsenal of weapons and gear to choose from before launching into battle. Strategizing with your team is the key to victory, and winners are blessed with a glorious celebration featuring a flame-throwing flamingo. 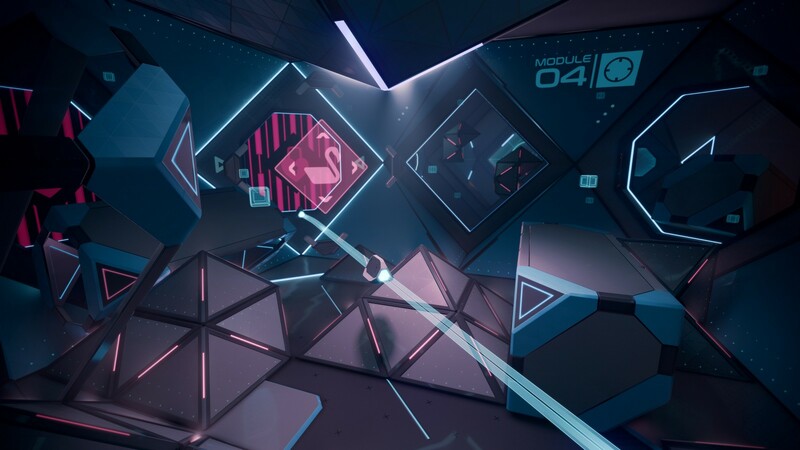 Echo Combat launches on Thursday November 15th at 10:30 AM PST/ 18:30 UTC. Players that already own Echo VR can purchase the game for $9.99 USD on the Oculus Store, in the Echo VR Main Menu, or in-game at any of the Matchmaking or Customization Terminals in the Echo VR Lobby. Note: Echo VR and Echo Arena will remain free-to-play through 2019 with full support from Ready At Dawn. One team is tasked with pushing the payload through checkpoints, while the opposing team must attack and stop the payload from reaching its final checkpoint. Two teams compete to capture and control a centralized zone in order to score points. The first team to reach 100% will win the round, while the team that secures the best of 3 rounds will win the overall match. Capture Point map with shimmering ponds throughout and a centralized control point. Payload map with multiple checkpoints and plenty of cover for versatile playstyles. A large, open space Control Point map featuring strategic drop ship spawn areas and a scenic view. With 12 different pieces of gear, there’s something here for everyone! Coordinate with your teammates before each match to determine which loadout is best for your team’s strats. 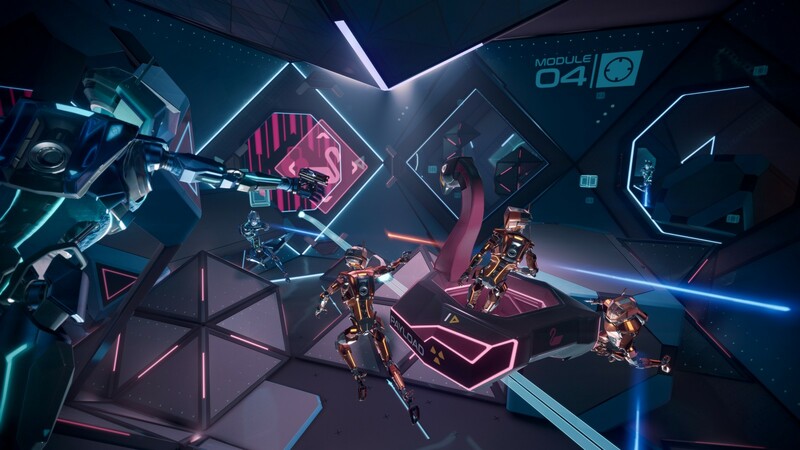 Like Echo Arena, Echo Combat will include player stats and a progression system. Players can gain experience and level up their Echo Unit while competing in public matches. Increasing your character level also gives you access to new emotes, patterns, and decals which can be used in your Echo Arena body as well. 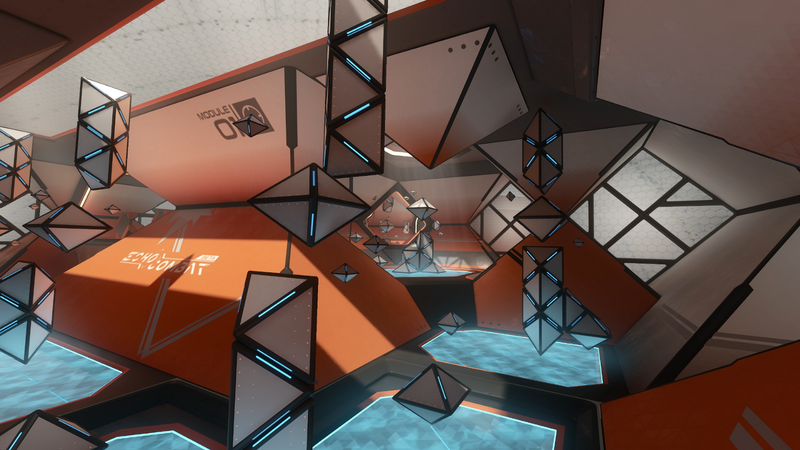 · Players who have not yet completed a public match of Echo Arena or Echo Combat will now be sent through an automatic Tutorial. · Dev Note: After months of analyzing beta tests and feedback, OC5, and an abundance of internal playtests, we’ve decided to increase the player count to 4v4. This change, while making the game more chaotic in nature, provides a better over-all experience for each individual player. 4v4 also creates a whole new level of strategy and tactical options with the 3 new pieces of gear. We’ve seen it as a big success and can’t wait to see the community play with these new, bigger groups! · The players body will always try to resolve to a valid position out of the ground keeping the legs and chest from clipping below into geo. · Dev Note: The players legs will swing in front or behind the player and the feet will lift up a little when the player hugs the ground. Players will need to find valid cover to prevent being shot in the limbs rather than small geo lips. 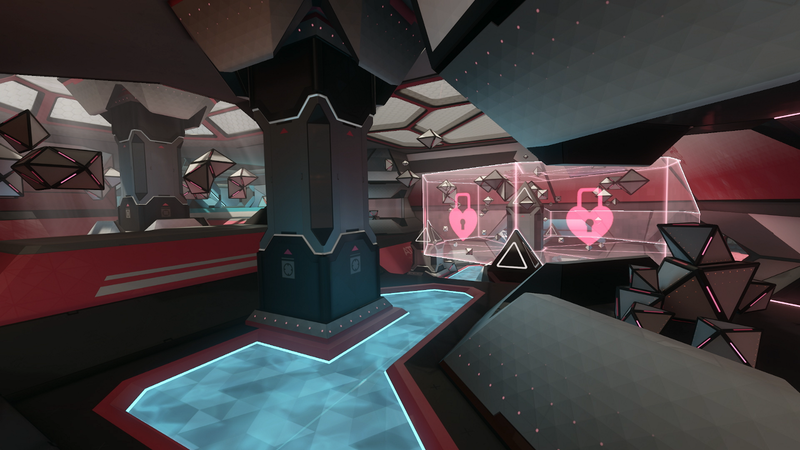 This change effects both Echo Arena and Echo Combat game modes. We are still working on improving the heuristic to choose the leg and feet locations so if you find a spot on a map that seems unfair please report it to the devs and we will work to address all issues reported. · The Comet’s AOE will now deal damage to the Energy Barrier. · The Comet should now feel more stable when charging a shot. · Comet’s base damage has been lowered from 40 to 30. · The Comet’s rate of fire has been increased from 0.75 seconds to 0.85 seconds. · Dev Note: The Comet is a high-skill weapon that suffered from a serious case of shaky-hands. We’ve made some changes to the way prediction works to help stabilize the Comet. It should now be friendlier to all ranges of player skill, especially while aiming with 1 hand. Along with smoothing out aiming, it’s important to note that the Comet was always intended to be a long range Sniper Rifle. As players and the devs started improving with the weapon, it started to excel as a close to mid-range pistol. The changes outlined above place it more into the category it was always meant to exist in. The damage adjustments lower the non-charged damage, promoting charge shots, while the rate of fire adjustments provide players a little bit more breathing room when under fire from a long-range Comet user. · When triggered, the Arc Mine will now chain stun up to 4 nearby enemies. · The Arc Mine will now trigger based on enemy proximity. · Dev Note: The Arc Mine ended up in being a little too challenging to use during beta and we wanted to give it a little more oomf. To help make the Arc Mine trigger in a more consistent manner, we’ve adjusted the detection radius to trigger faster when an enemy is closer to the actual mine. This will help prevent fly-throughs of it not triggering. In addition to the detection changes, when an enemy trips an Arc Mine and becomes stunned, after 1.25 seconds the stun will bounce to another nearby player. This effect will continue to chain as long as un-stunned enemies are within the space. This change will help create some big plays if catching a group of players unaware. Note that a player cannot be stunned more than once in the chain reaction. · Nova’s rate of fire has been increased from 0.4 seconds to 0.5 seconds. · Dev Note: The Nova has become a pretty destructive force in the right hands and we wanted to bring it more into line with the other weapons. These changes slightly increase the Time to Kill giving players more of an opportunity to react when an experienced Nova player gets the drop on them.